Dental anxiety affects up to an estimated 30% of the adult population in countries world-wide. In a systematic review of six trials with 800 patients, Hugh MacPherson and colleagues found that anxiety was reduced when dental patients were given acupuncture before dental treatment. The level of reduction in anxiety was considered to be clinically relevant, which means that acupuncture could be considered as an option for helping tackle dental anxiety. More trials are needed, measuring the impact of acupuncture on anxiety before going to the dentist, during treatment and after treatment. The publication can be found here. Press coverage included: Science Daily, Daily Mail, Economic Times, York Press. "York acupuncturist Hugh MacPherson and a team of scientists from the York Neuroimaging Centre look at evidence for the way acupuncture may affect pain centres in the brain." Stephen Lewis reports in the York Press. [Read text]. A major UK trial at the University of York funded by Arthritis Research UK will investigate the effectiveness of acupuncture and Alexander Technique lessons in alleviating chronic neck pain. The grant is for £718,000 over 3 years and the Principal Investigator is Hugh MacPherson. October 2011. [Press Release] Press coverage included Times Higher Education, York Press and Yorkshire Post. An award of £1,280,000 has been made to Chief Investigator Hugh MacPherson at the University of York to conduct a series of projects evaluating acupuncture for chronic pain and depression in primary care funded by a Programme Grant for Applied Research from the National Institute for Health Research, April 2009. An award of £250,000 has been made to Principal Investigator Hugh MacPherson at the University of York to conduct a trial of acupuncture for irritable bowel syndrome funded by the National Institute for Health Research under their Research for Patient Benefit scheme, July 2008. 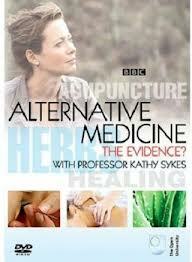 National coverage of the results of a trial conducted by Kate Thomas and Hugh MacPherson, two papers published in September 2006 in the British Medical Journal [see extract], with news coverage from the BBC, Herald, Independent, NHS, Reuters, WebMD and others. Episode 5, broadcast 30th March 2006. Features brain scan of presenter Chris Cudelli while receiving acupuncture, with interview and discussion with Hugh MacPherson. "The top brass - the 10 leading acupuncturists"